I had a nostalgic opportunity to watch the MontrealCanadiens-Ottawa Senators game from high above the Bell Centre ice in the press box on March 13. From the time I was a teenager I was covering most games at the old Montreal Forum for the now defunct Sunday Express Newspaper and United Press International. This was my second year a row enjoying a game from the same vantage point, after a lengthy absence, and I thoroughly enjoyed the experience, from the incredible view, access to the dressing room and the opportunity to network with and observe my colleagues from the media. A view of the press box. In the Jacques Beauchamp Press Room, General Manager Marc Bergevin was engaged in a friendly conversation with his Ottawa counterpart, Bryan Murray. One of my favorite former Canadiens, Peter Mahovlich, was there in his capacity as a scout for the Florida Panthers. He and his family still call Glens Falls, New York home, but he told me how he is constantly on the road. Yes, he agreed, the Panthers are having a tough season, but he still sees a bright future ahead for the franchise. Mike Boone, who is now semi-retired, never got out of his seat as he blogged continuously for Hockey Inside Out. Former CTV Montreal sports director Ron Reusch still comes to every home game for his blog while the legendary Jim Bay is on hand as well. There are a number of female reporters in the press box – Jess Rusnak of TSN 690, Andie Bennett of CBC and Alyson Lozoff of Rogers Sportsnet. CJAD’s Rick Moffat, who was great as the Habs play-by-play man, is busy tweeting and writing reports all night. He gets home late and wakes up exceptionally early. Brian Wilde has been covering the Habs for years for CTV Sports. What you do not see is how closely he follows the game and the extensive work he does in the dressing room to collect just the right clips and then prepare for a vibrant live report at 11:50 p.m. The new head coach of the Montreal Impact, Marco Schallibaum, was a guest of the Habs and accompanied by team executive vice-president Richard Legendre. A look at a faceoff from the press box. It was a nice touch to bring UFC champion Georges St. Pierre on the ice before the game as the building exploded with applause, cheering him on for his title fight here on Saturday. The Ottawa Sun Newspaper was represented by two of my old friends, Bruce Garrioch and Chris Stevenson. Chris is originally from LaSalle. Access their stories online and follow them on Twitter. I first met this duo more than 25 years ago when I drove to Ottawa and freelanced for the then Ottawa Herald. Their careers have flourished since then. There are a lot of media who cover the Canadiens. Communications chief Donald Beauchamp, with a stellar staff, which includes Dominick Saillant and Sylvie Lambert, do a masterful job in this department. One of the unsung heroes of the Canadiens operation, Paul Gallant, was busy in his role of handling game day operations. On to the game itself. It was a good one that is for sure, with plenty of end to end action and a lot of physical contact. The Canadiens won 4-3 in a shootout. Almost immediately the media headed to a very large elevator, accompanied by the Ottawa GM who did not seem devastated by the loss. The media lined up outside the Habs dressing room in very significant numbers and once allowed in headed towards shootout scorers Lars Eller and Alex Galchenyuk. Josh Gorges, Brendan Gallagher, Josh Gorges, Gabriel Dumont and Cary Price also attracted a crowd. PK Subban was in the workout room. The Canadiens PR rep announced that PK had a very short period of time to talk before he had to return to the gym and the media complied. I had a chance to talk to Galchenyuk and Price, both of whom were polite and full of enthusiasm. After getting their fill of quotes, the media moved to a room to await the appearance of head coach Michel Therrien. It was nice to see in person the extraordinary change in the head coach. Impeccably dressed, he is relaxed, full of good humour and excellent sound bites. He responded bilingually for about 10 minutes. Saillant then took over, announcing that defenceman Greg Pateryn had been returned to the Hamilton Bulldogs and the next practice time. What can one say about this abbreviated NHL season for the Habs. Bergevin looks like a genius for hiring Therrien and making some of the key roster moves he did. Hockey fever is back big time in this city and folks are dreaming about a Stanley Cup. Before leaving the Bell Centre I sat in on the TSN 690 post game show, co-hosted by the dynamic duo of Tony Marinaro and Conor McKenna. I must thank Tony for playing a critical role in bringing my Twitter followers above the magic 1,000 plateau. He promised me a few weeks ago when I appeared on his Montreal Forum program that he would make it happen and wouldn’t you know it, my lone press box appearance of the year turned out to be the big night. Please follow me @mikecohencsl. I will never catch up to his nearly 21,000, but I am happy to reach this total. Tony Marinaro responds to Conor. Conor and Tony have good chemistry and do a great recap, preceded by the old pro himself Mitch Melnick. For any Habs fan, it is an education in hockey to listen to what they have to say. Seated in their press box section way above the visiting net, Conor and Tony are relaxed and use very little, if any, notes. They feverishly check their Tweets, which is the main way they communicate with listeners. 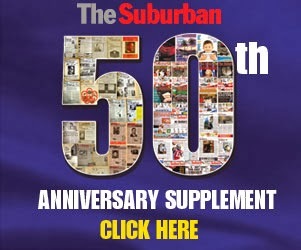 Please make sure to read my columns in the March 20 editions of The Suburban for some stories on topics related to the Habs that you have not seen anywhere else this year.